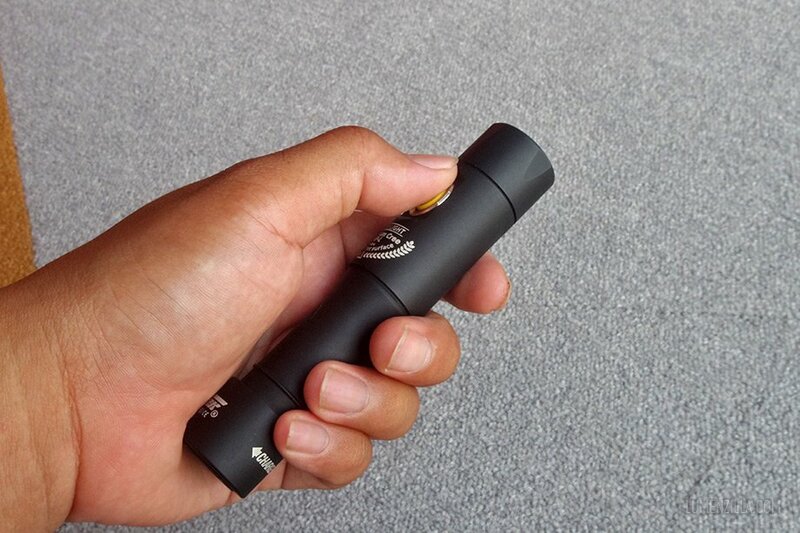 Armytek Prime C2 is an every day carry (EDC) light series from Armytek that has gained popularity. 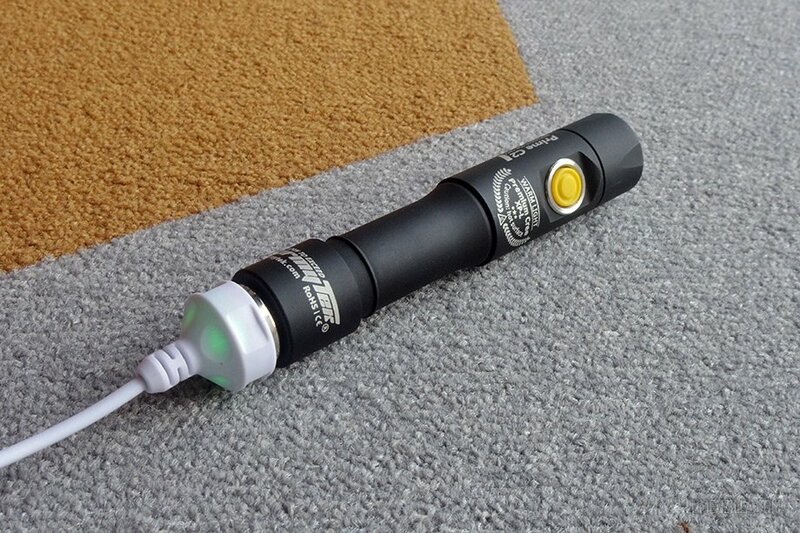 It’s available in several options and I was very lucky to get this warm white version with magnetic USB charger from Armytek. I should have posted this review couple of weeks ago but technical issue on this blog has cause me a little trouble. The flashlight arrived in this bright and nice packaging. 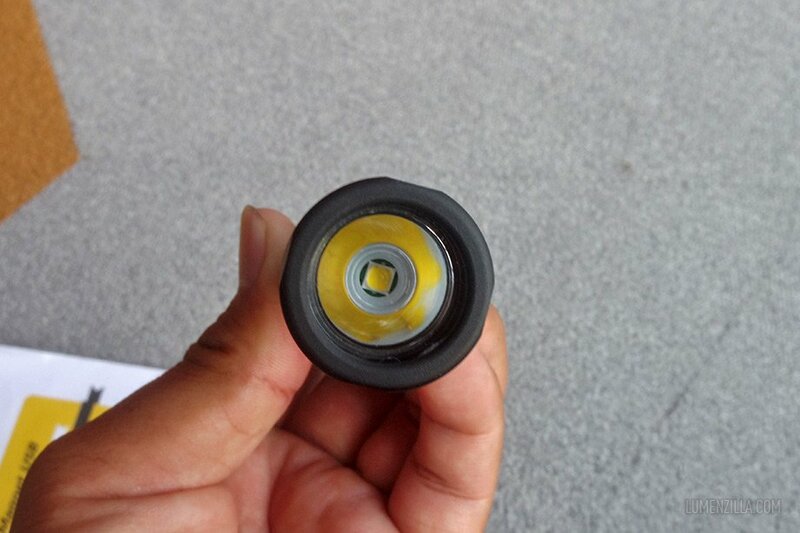 The flashlight is wrapped inside a soft styrofoam envelop to protect it during the distribution. 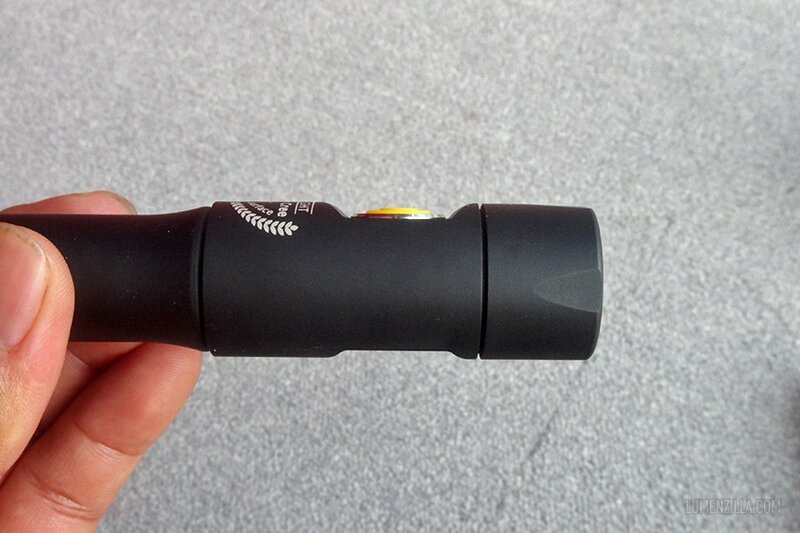 And here’s the flashlight itself, Armytek Prime C2. The body is made of aircraft-grade aluminium with anti abrasive finish. When you hold it, you know it’s sturdy. 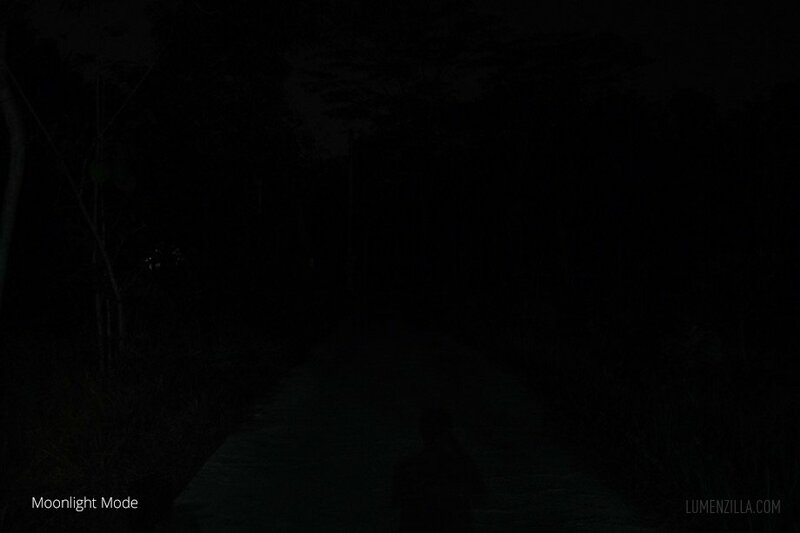 This flashlight is slimmer than any 18650 I ever have before. This is the head part, there’s a grove where the switch is located. Its makes the switch level with the body, not protruding, prevents accidental activation. There are grooves on the bezel as well. I was wondering the purpose until I lied the flashlight on flat surface. 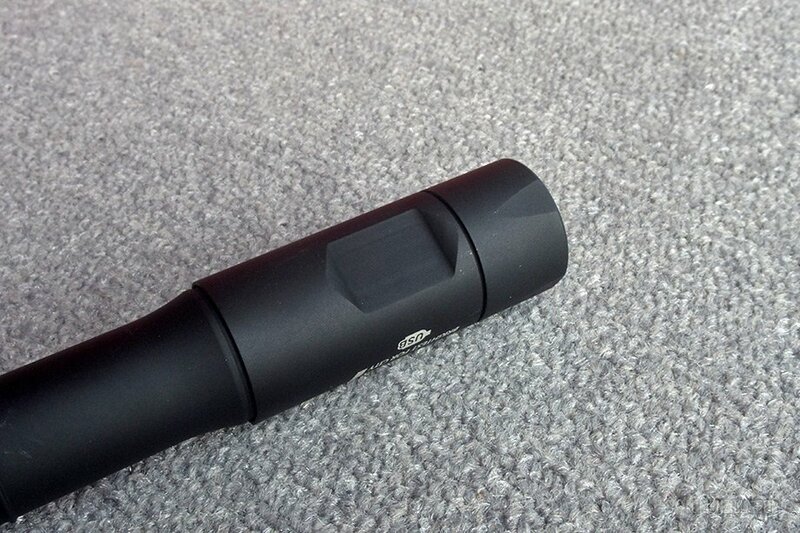 It prevents the flashlight from rolling on flat surface. Simple but genius. 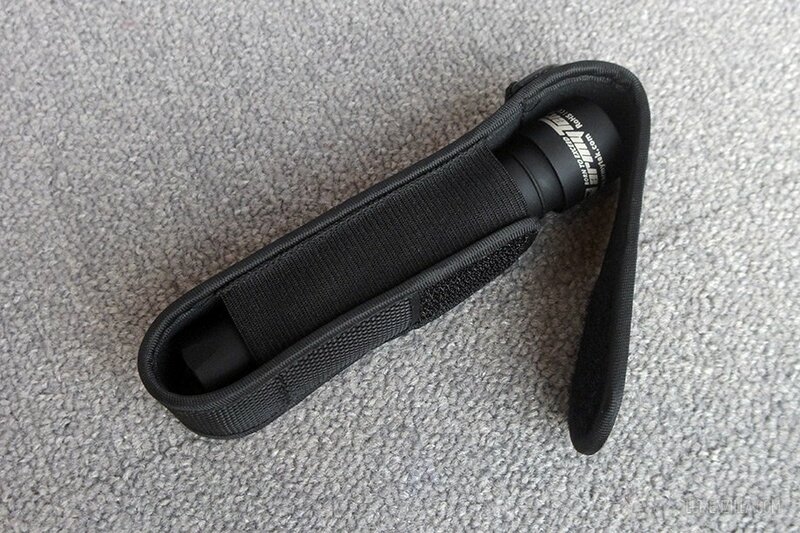 The flashlight available in both warm white and cool white. 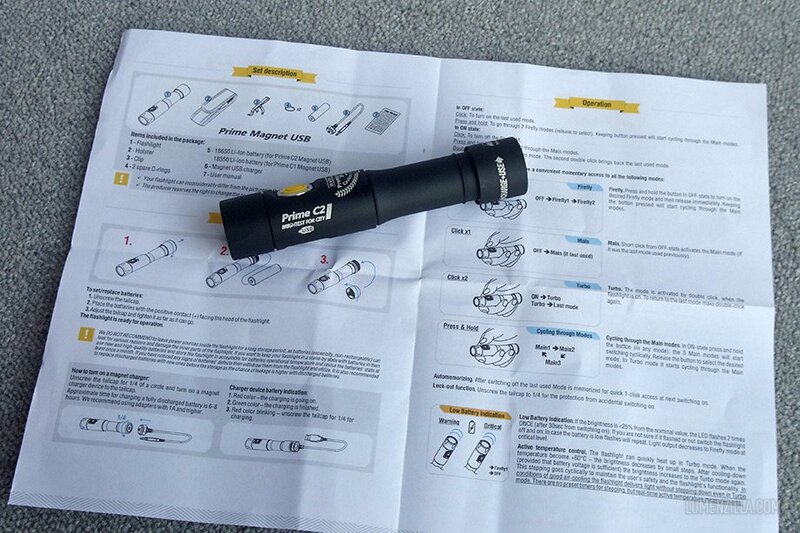 Armytek is known by the quality of their flashlights, at least that’s what I found on this Prime C2. Build quality is great. Thread on the front side is coated but thread on the tail side is not. Each threads are well-lubed and the metal contacts look great. Although the holster is not the best one, but it’s a decent one. I didn’t attach the clip because I didn’t find any reason to use it at this moment. Operating Prime C2 is no brainer. The manual is very easy to follow and we can download it from their website if we prefer the digital version (PDF). 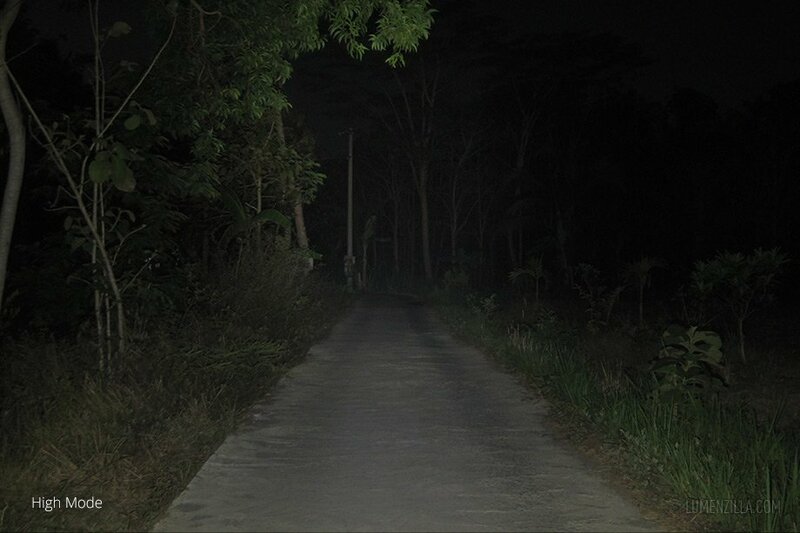 From off, press the switch to turn on the flashlight. It will enter the last mode we use. Long press again to cycle the modes until reaching the brightest mode, then it will repeat from low mode. There are two “hidden” modes. 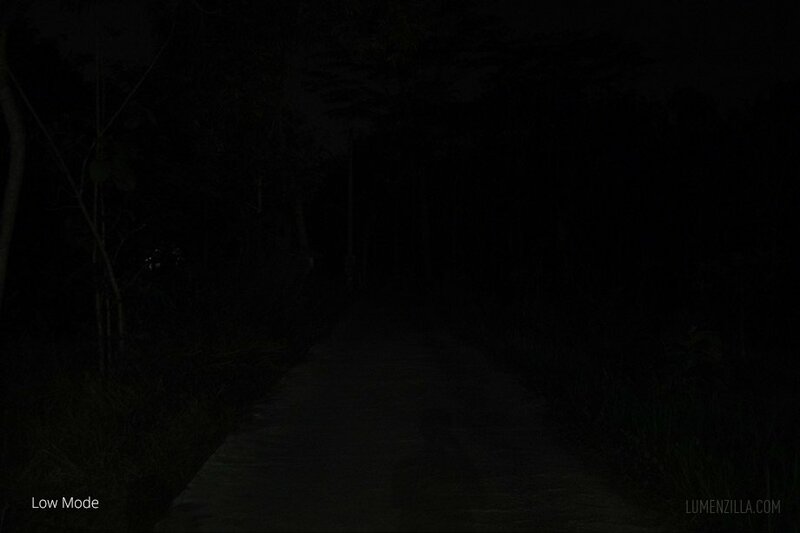 From off, long press to enter moonlight or firefly mode. When the flashlight is on, double press the switch and it will enter turbo mode. Turbo mode will be slightly brighter than the highest mode. 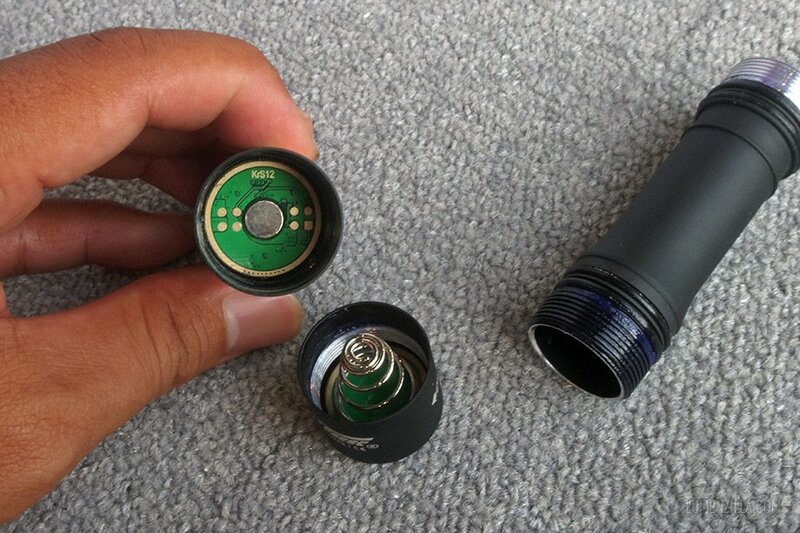 When not in use, we can manually lock the flashlight by twisting tail cap a quarter to the left. These beam shot pictures are taken with Pentax Q camera, exposure 0,5 sec; f/1,9; ISO 250. 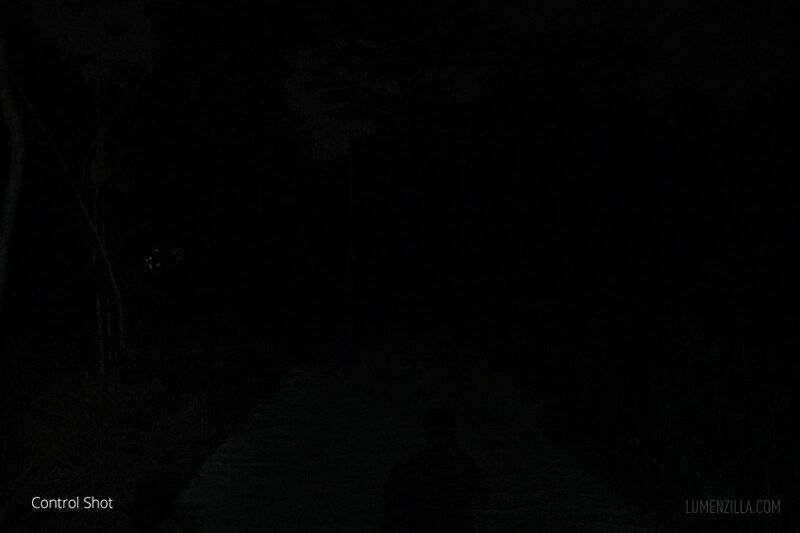 Manual mode. 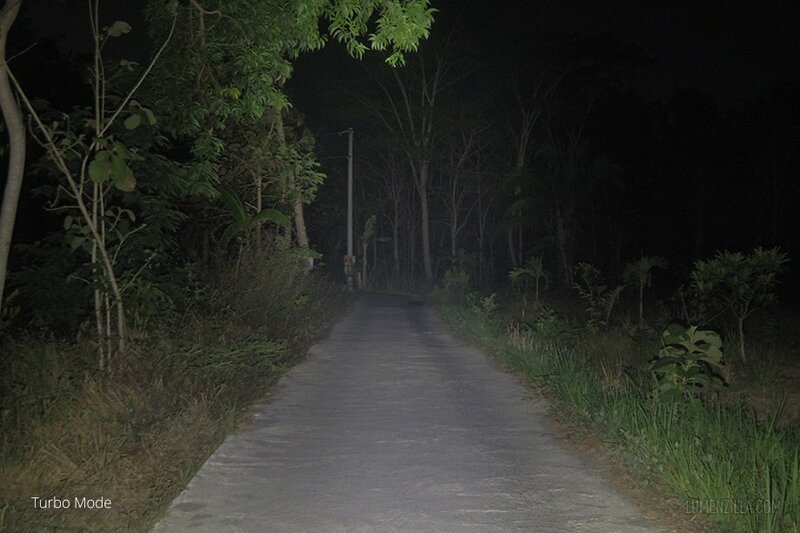 Distance from flashlight to the electricity pole is about 60 meters. 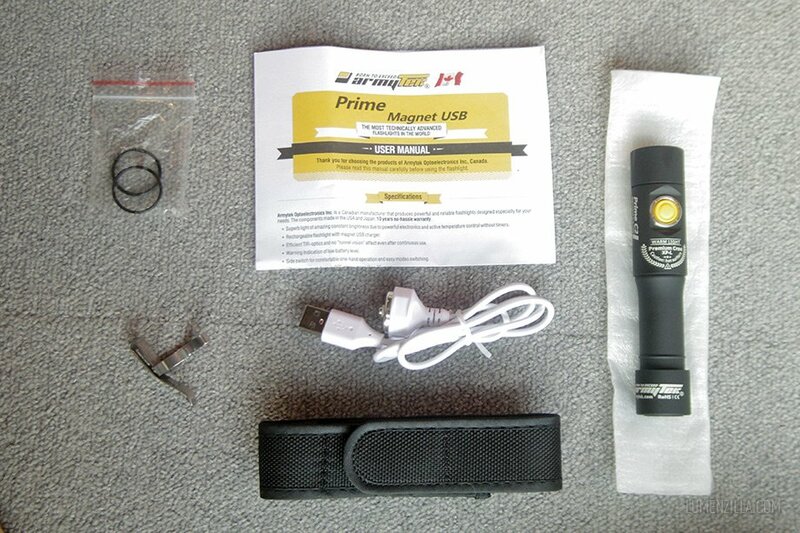 Armytek Prime C2 comes with an USB magnetic charger. 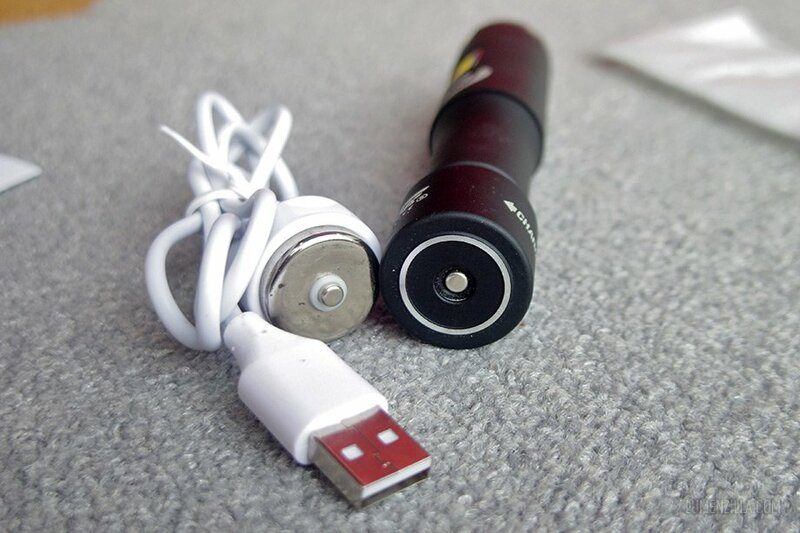 The magnet is very strong and it will pull the flashlight to attach strongly to the charger. When charging, twist tail cap anti clock wise about 1/4 turn as written on the instruction at the tail cap. During charging, the LED on the charger will light and green means the battery is full. Detach the charger and screw back the tail cap clock wise and it will be ready to serve. 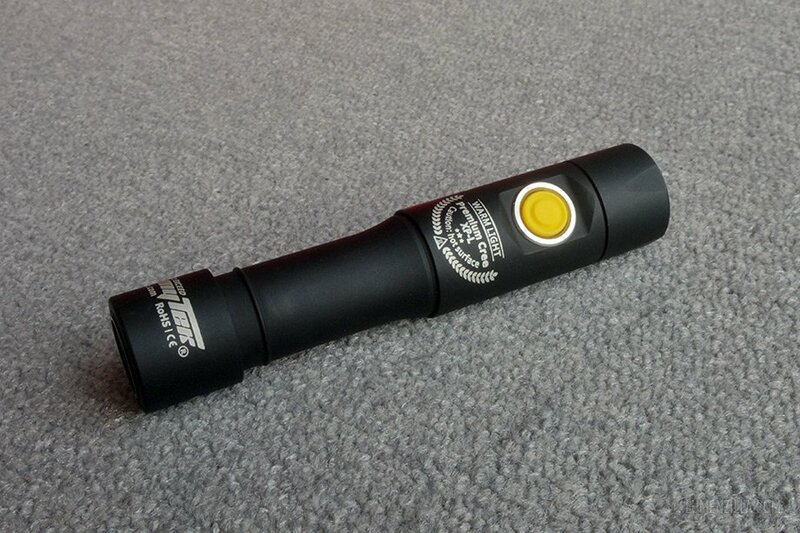 Armytek Prime C2 is a great 18650 flashlight with sturdy body quality and great TIR optic. It’s available in both cool and warm white version with the same price tag so the choice is yours. 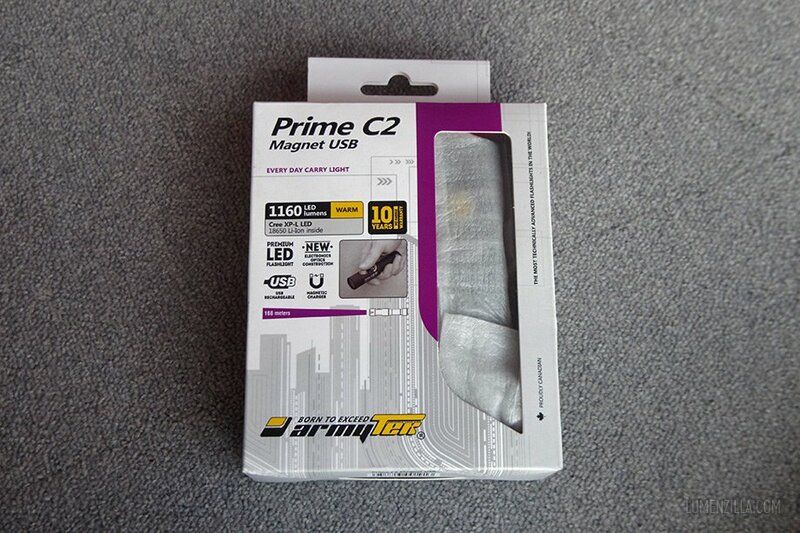 There’s also Prime C2 Pro with additional features. 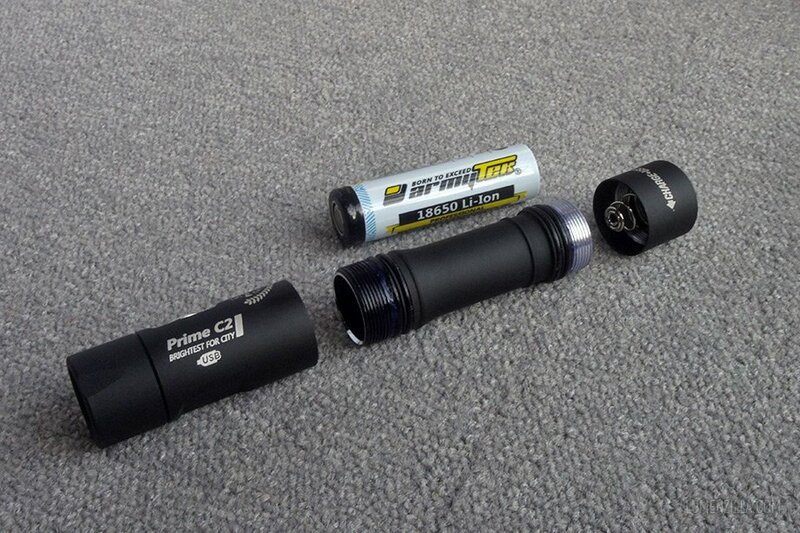 If you want shorter flashlight, you can choose Prime C1 instead which using CR123/16340 battery.